This stunning reindeer head will look stunning in pride of place of your mantelpiece. Finished in a vintage gold, this will make a wonderful gift idea. 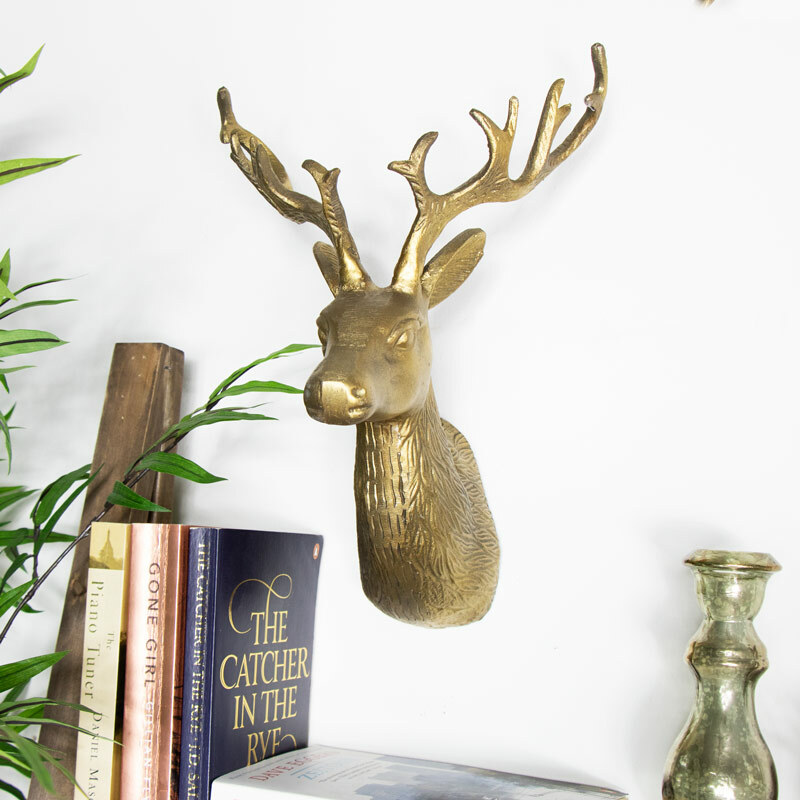 Our extensive collection of reindeer and stag heads are stunning and create a great look for your home. This reindeer head is finished in gold with fur detailing and distressed finish that adds a lovely vintage feel. The perfect addition to any interior. The gold will add a wonderfully rustic look. This stunning reindeer head will look stunning in pride of place of your mantelpiece. Finished in a vintage gold, this will make a wonderful gift idea. 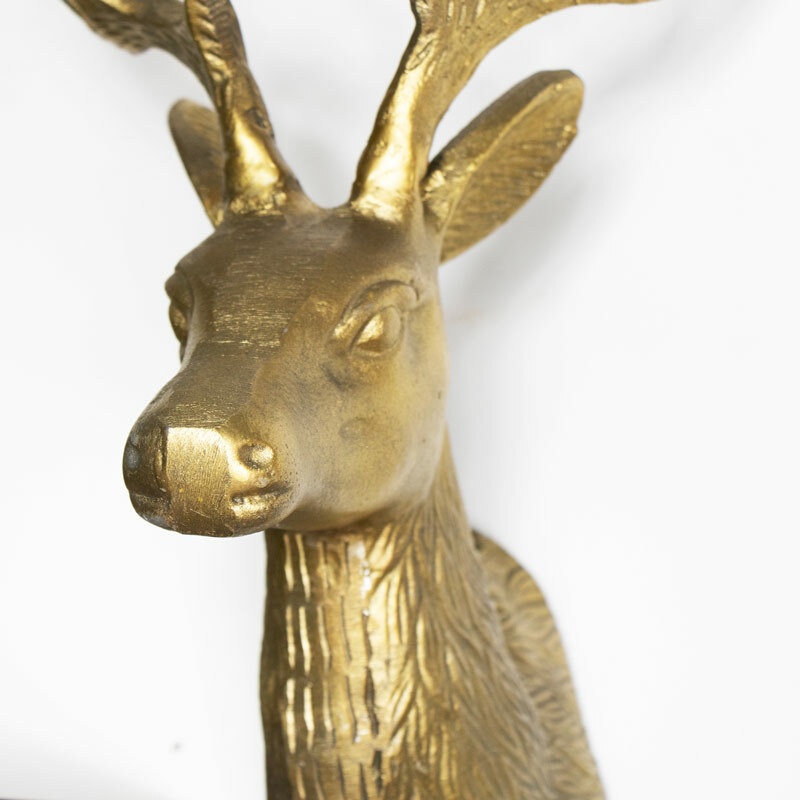 Our extensive collection of reindeer and stag heads are stunning and create a great look for your home. This reindeer head is finished in gold with fur detailing and distressed finish that adds a lovely vintage feel. The perfect addition to any interior. The gold will add a wonderfully rustic look. Made from metal in a vintage gold finish with distressing to give a slightly rustic look. Easily wall mounted with a hole on the back for attaching to a wall hook (not included). We have such a wide range of stags heads available in different colours, styles and sizes! If this is not the right for you then be sure to look at our whole range.